Project: EVO targets an individual's core neurological ability to process multiple streams of information and helps to treat the cause of depression, researchers found. "We found that moderately depressed people do better with apps like this because they address or treat correlates of depression," said Patricia Areán, a UW Medicine researcher in psychiatry and behavioural sciences. The first study enrolled older adults diagnosed with late-life depression into a treatment trial where they were randomized to receive either a mobile, tablet-based treatment technology developed by Akili Interactive Labs called Project: EVO or an in-person therapy technique known as problem-solving therapy (PST). 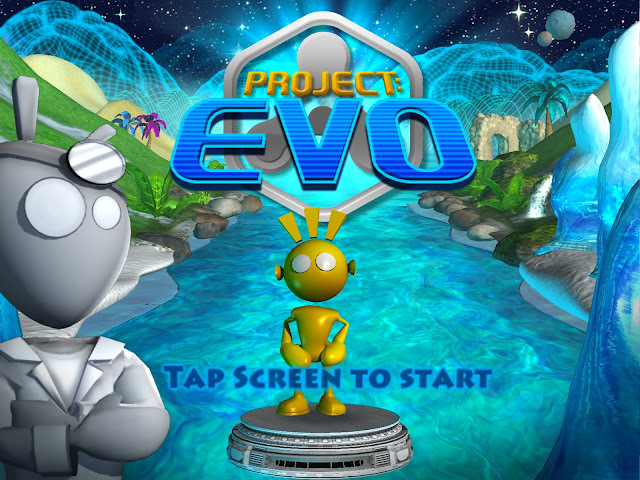 Project: EVO runs on phones and tablets and is designed to improve focus and attention at a basic neurological level. The results, published Jan. 3 in the journal Depression and Anxiety, showed that the group using Project: EVO demonstrated specific cognitive benefits (such as attention) compared to the behavioural therapy, and saw similar improvements in mood and self-reported function. Joaquin A. Anguera, a University of California, San Francisco (UCSF), researcher in neurology and psychiatry, is the lead author, and Areán is the senior author. The researchers have no commercial interests in the intervention manufactured by Akili Interactive Labs in Boston. "While EVO was not directly designed to treat depressive symptoms; we hypothesized that there may indeed be beneficial effects on these symptoms by improving cognitive issues with targeted treatment, and so far, the results are promising," said Anguera. People with late-life depression (60+) are known to have trouble focusing their attention on personal goals and report trouble concentrating because they are so distracted by their worries. Akili's technology was designed to help people better focus their attention and to prevent people from being easily distracted. Areán, a UW Medicine researcher in psychiatry and behavioral sciences, said most of the participants had never used a tablet, let alone played a video game, but compliance was more than 100 percent. The participants were required to play the game five times a week for 20 minutes, but many played it more. Participants in this arm of the study also attended weekly meetings with a clinician. The meetings served as a control for the fact that participants in the problem-solving therapy arm were seen in person on a weekly basis, and social contact of this nature can have a positive effect on mood. A second study, which was another joint effort by UW and UCSF, randomized more than 600 people across the United States assessed as moderately or mildly depressed to one of three interventions: Akili's Project: EVO; iPST, an app deployment of problem-solving therapy; or a placebo control (an app called Health Tips, which offered healthy suggestions). Areán, the lead researcher on the study published Dec. 20 in the Journal of Medical Internet Research (JIMR), found that people who were mildly depressed were able to see improvements in all three groups, including the placebo. However, those individuals who were more than mildly depressed showed a greater improvement of their symptoms following their use of Project EVO or iPST versus the placebo. Areán said much of her research is aimed at providing effective treatment to people who need it, and these results provide great potential for helping people who don't have the resources to access effective problem solving therapy. But, she stressed, the apps should be used under clinical supervision because without a human interface, people were not as motivated to use it. In the JIMR study, 58 percent of participants did not download the app. Akili's technologies are based on a proprietary neuroscience approach developed to target specific neurological systems through sensory and digital mechanics. The company's technology platform used in this trial is based on cognitive science exclusively licensed from the lab of Dr. Adam Gazzaley at UCSF, and propietary adaptive algorithms developed at Akili, which are built into action video game interfaces. The technology targets an individual's core neurological ability to process multiple streams of information. Project: EVO is undergoing multiple clinical trials for use in cognitive disorders -- including Alzheimer's disease, traumatic brain injury and pediatric attention deficit hyperactivity disorder (ADHD), and the company is on path for potential FDA clearance for the game's use to treat pediatric ADHD.